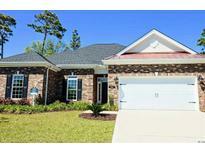 Find Grande Dunes, SC Homes for sale. View Photos, Maps and MLS Data Now! Grande Dunes Riviera Village - All of this and much more built on one and two-thirds lots and this beauty is almost an acre of Island Beauty.The HOA includes Master Association and membership to the Grande Dunes Ocean Club. "Surround yourself in Elegant Splendor" MLS#1908937. Grande Dunes Cipriana Park - Remember, that said all within 10 minutes on a Golf Cart. MLS#1908701. Grande Dunes Cipriana Park - Do not miss seeing this incredible offering. MLS#1908141. Grande Dunes Riviera Village - Please visit our sales gallery located in Grande Dunes Marketplace next to Lowes Foods to learn more about this amazing community you can call home. MLS#1907393. Please visit our sales gallery located in Grande Dunes Marketplace next to Lowes Foods to learn more about this amazing community you can call home. MLS#1906963. Grande Dunes Siena Park - Being part of the Grande Dunes includes membership to the Ocean Club with private beach access, access to a marina with private boat slips and 2 golf courses MLS#1906588. Grande Dunes Members Club - Please visit our sales gallery located in Grande Dunes Marketplace next to Lowes Foods to learn more about this amazing community you can call home. MLS#1906530. Grande Dunes Members Club - The whole ambiance of the is home is spectacular. MLS#1906062. Grande Dunes Members Club - Measurements are approximate and not guaranteed. Buyer responsible for verification. MLS#1905850. Grande Dunes Capri Village - Grande Dunes offers 2 championship golf course, 130 slip marina, a 25,000 sqft Ocean Club with a 26,000 gal swimming oasis, and a award winning tennis facility. MLS#1905841. Grande Dunes Cadiz - Must see to believe it. Impeccable quality. MLS#1905827. 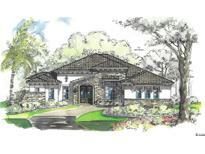 Grande Dunes Palermo - Every Where You Look You Will See Custom Hand Crafted Designer Touches Which Make This Home A One Of A Kind Show Place. MLS#1905312. Grande Dunes Members Club - Please visit our sales gallery located in Grande Dunes Marketplace next to Lowes Foods to learn more about this amazing community you can call home. MLS#1905020. Grande Dunes Members Club - Private Lot With Beautiful Mature Landscaping. MLS#1904749. Grande Dunes Members Club - House is occupied, please contact listing agent to schedule a showing. MLS#1904371. Grande Dunes Members Club - Please visit our sales gallery located in Grande Dunes Marketplace next to Lowes Foods to learn more about this amazing community you can call home. MLS#1903970. Grande Dunes Members Club - Square footage is approximate and not guaranteed. Buyer is responsible for verification. MLS#1903795. Grande Dunes Seville - Please visit our sales gallery located in Grande Dunes Marketplace next to Lowes Foods to learn more about this amazing community you can call home. MLS#1903425. Grande Dunes Members Club - Please visit our sales gallery located in Grande Dunes Marketplace next to Lowes Foods to learn more about this amazing community you can call home. MLS#1902912. Grande Dunes Members Club - Membership to the Ocean Club is included with home ownership in Grande Dunes. MLS#1902707. 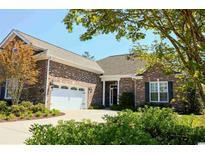 Grande Dunes Members Club - Make your appointment to see this home today! MLS#1902615. 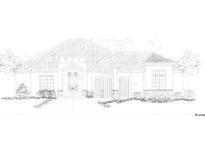 Grande Dunes Cipriana Park - Measurements are not guaranteed and the buyer's responsibility to verify. MLS#1902572. Grande Dunes Siena Park - All of this fits very spaciously on a lot of land that is oversized for the area. MLS#1902406. Grande Dunes Siena Park - Please visit our sales gallery located in Grande Dunes Marketplace next to Lowes Foods to learn more about this amazing community you can call home. MLS#1902163.